Looking for custom checkbox UI styles for your website? 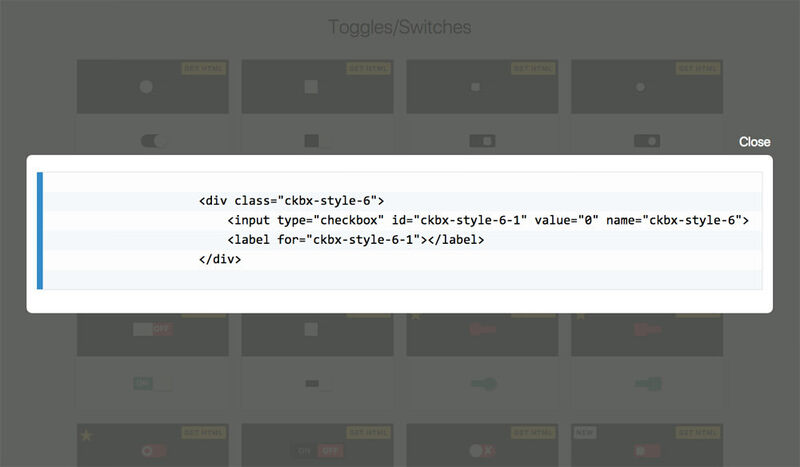 Take a peek at the CSS Checkbox Library hosted for free on GitHub. This massive library supports dozens of styles for checkbox items, such as sliders, on/off designs, circles & squares among many other shapes. You get full access to the HTML/CSS code, so it’s a breeze to get it up and running on your site. Not to mention it’s also fully open-sourced and available for both personal and commercial projects. To get started, you can visit the GitHub repo and download all files locally to your machine. Or, you can install the library via npm. By default, every checkbox style comes with its own class. The checkboxes.min.css stylesheet has everything you need, so if that’s included in your page then you’re all set. Every checkbox style supports modern browsers and most legacy browsers, including IE9+. The workflow for this library is perhaps the simplest I’ve ever seen. Once you have the stylesheet added to your page, just dig through all the styles on the main demo and see what stands out. From there, you can pick whatever works best. Clicking the HTML button displays a modal with the source code for that checkbox. Now, just copy/paste it into your site, give it the proper name/value (if applicable), and you’re all set! No hassle, very little customization, and basically no coding skills required. You’ll notice every checkbox style comes in both a light and dark theme, for greater support. This means you should have no trouble finding a checkbox that fits with your website. Plus, you can use additional classes such as .ckbx-small or .ckbx-xlarge to increase the size. With 25+ different styles and many different animations, I have to say this CSS Checkbox Library is impressive. Great for any frontend developer looking to save time in their workflow and improve the UI design of any web form.